The Australian captain, Michael Clarke was worried after their defeat in the second Final of the Commonwealth Bank Series against Sri Lanka and blamed his team for the debacle. The kangaroos lost the match by a hefty margin of eight wickets at Adelaide Oval on March 6, 2012, where Tillakartne Dilshan and Mahela Jayawardene murdered their bowling. The hosts kept wondering after losing the match as they had won the first final by 15 runs, played at Brisbane Cricket Ground, Woolloongabba, Brisbane on March 4, 2012. The Aussies smashed 321 runs in the first final which was supposed to be a winning target but the Lankan Lions did not surrender easily and fought until the end. The young duo of Nuwan Kulasekara ans Upul Tharanga almost won the match for them after six of their star batsmen went back to the pavilion for 144 runs. The youngsters counter attacked the rival bowlers and shared a thundering partnership of 104 runs before Kulasekara was gone after scoring a quick fired 73 from just 43 balls which comprised three lofty sixes and 7 fours. Tharanga remained a constant threat until he lost his wicket for 60 runs which provided a sigh of relief for the home side. The Aussies managed to win the match on the second ball of the 50th over when the tourists were bowled out. The tournament included India as well but they could not qualify in the best of three final since the Islanders proved to be better side. The big guns of the Blue Shirts kept on struggling throughout the tournament whereas the young lot proved their worth and Virat Kohli emerged as a prominent future star. 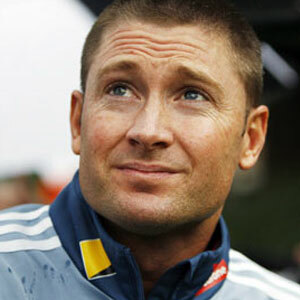 Michael Clarke lashed out at the application of his team when they were outplayed in all departments of the game in the second final. The skipper led the team from the front by dispatching 117 runs and David Warner also remained focused on his batting while thrashing successive ton in the finals. The charismatic captain was of the view that they did not score enough runs which could be defended keeping in view the batting power house of the Islanders who enforced their batting by inducting a willow holder at no.7. The bowlers lacked penetration and did not bowl according to their field while the ground fielding was not up to the mark.